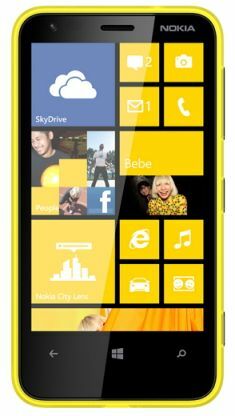 Nokia launched the affordable Windows 8 smart phone named Nokia Lumia 620 in their series of Lumia phones. The Lumia 620 run on Windows Phone 8 operating system and it is powered by 1 GHZ Snapdragon S4 dual core processor for speedy performance. It comes with 3.8 inch capacitive multi-touch LCD display with 800x480 pixels resolution. It has 512 MB RAM, 8 GB internal storage and you can extend via SD card up to 32 GB. The phone features 5 MP rear camera with auto focus and LED flash support and VGA front facing camera also. The Lumia 620 has some additional features are Nokia Maps, Xbox Live , Microsoft Office, 7 GB of online SkyDrive storage and Internet Explorer 10 for safe browsing in web. The Lumia 620 arrives in sale in India for Rs. 14999. You can buy this phone at official Nokia Store or you can buy some cheaper price at other online stores like Saholic.com and infibeam.com. Lumia 620 available in four colors are Cyan, Green, White and Magenta.